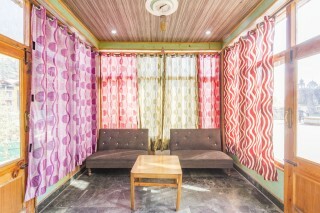 Situated at a short walking distance from the bustling Mall Road (400 m), this is an offering of a private room in a guest house that can accommodate up to three guests. The accommodation is close to numerous places of attraction such as Van Vihar National Park (700 m), Hadimba Devi Temple (1.4 km), and Manu Temple (2.3 km). The property is in proximity to restaurants including Casa Bella Vista Café (1.5 km) and Il Forno (1.6 km). Your Space The exterior of the property features a generous courtyard appointed with easy chairs and coffee tables, which makes for an ideal space to interact with your travel companions. You can also enjoy a cuppa in the sitting area which is equipped with two comfy chairs. 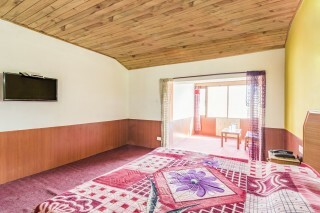 The cosy bedroom has wood-panelled ceiling and furnished with a double bed, a wardrobe with a generous storage space, a dressing table, and a wall-mounted television so that you can stay updated on the latest happenings. A comfy seating also occupies the bedroom, where you can sit comfortably and soak up the sun. 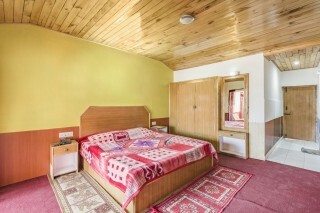 The attached bathroom is well tiled and equipped with modern sanitary ware. Guests are requested to provide valid identification at the time of check-in. Places to visit- Van Vihar National Park - 700m Manu Temple - 2.3 km. Solang Valley - 13.2 km. Hidimba Devi Temple- 1.4 km. Solang Valley- 11.7 km. Gulaba- 14.9 km. Beas Kund - 20.9 km. Beas River - 41.0 km. Joginder Nagar Railway Station - 163 km. 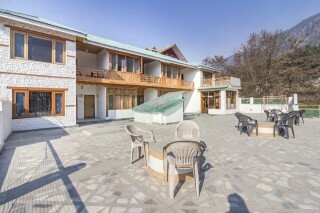 Kullu Manali Airport - 50.9 km. 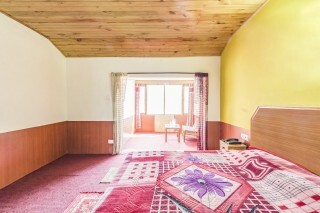 Manali Bus Stop - 1.9 km.